NOMAS is an increasingly influential voice, promoting diversity in architecture and the quality and excellence of future design professionals. The local chapter, BACNOMAS, is committed to being active in the design community, participating in national design competitions, mentoring local high school students, and participating in a variety of other educational and recreational activities. The BAC Chapter of NOMAS is about the spirit of inclusion, and participation is welcomed whether you consider yourself a minority or not. Get involved! 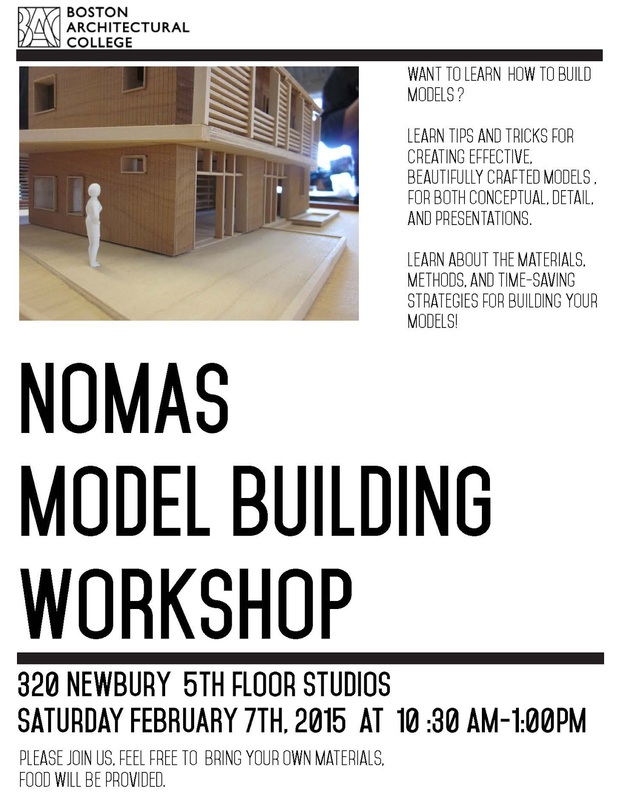 In addition, all members of NOMAS receive free membership to the Boston Society of Architect. To get involved with the NOMAS, e-mail bacnomas@the-bac.edu for more information.